Now that Disney Cruise Line has unveiled the complete list of itineraries and ports for 2014, I’m sure many of you are busying researching and planning which voyage is best for your family. It’s a tough decision, isn’t it? The secret is out – Disney Cruise Line is returning to Europe! With so many Disney Cruise Line itinerary choices around the world, there’s a lot to consider when choosing which voyage is best for you and your family. 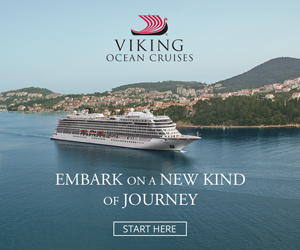 Read the posts below to find out which sites and cities our cruises are sailing to in Europe during the 2014 season. Which of these destinations do you have your heart set on? This afternoon we set sail from Miami, and we have some very special friends joining us. Part of the Disney Cruise Line social media team will be sharing our voyage with you on Facebook and Twitter, so you can join in on the fun, too. Today’s the day I set sail for my first-ever cruise from Miami! After arriving to the port this morning, now I fully understand the excitement of departing from this beautiful and iconic city. What a view huh?